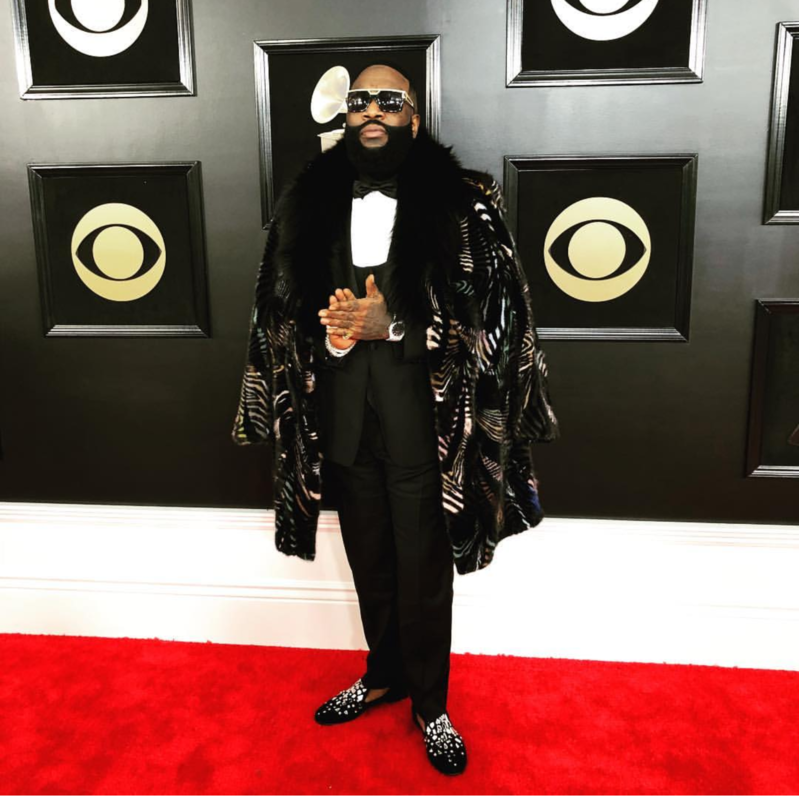 Eve attended the Grammys dazzling in a Naeem Khan FW17 RTW embellished pantsuit. 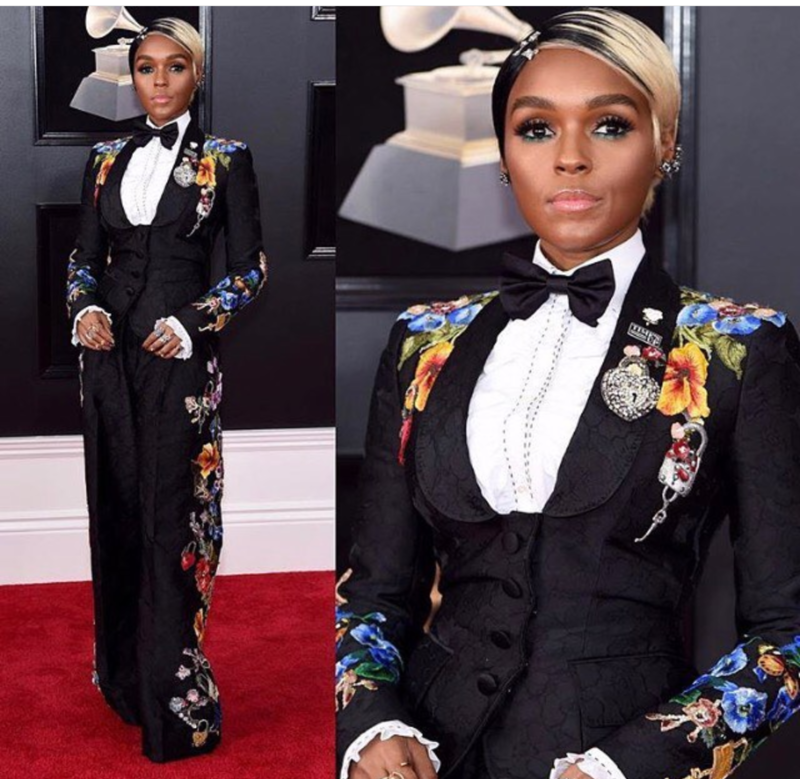 Janelle Monae was suitee at the 2018 Grammys rocking a statement Dolce Gabbana floral embroidered suit from the #ss18 RTW show. 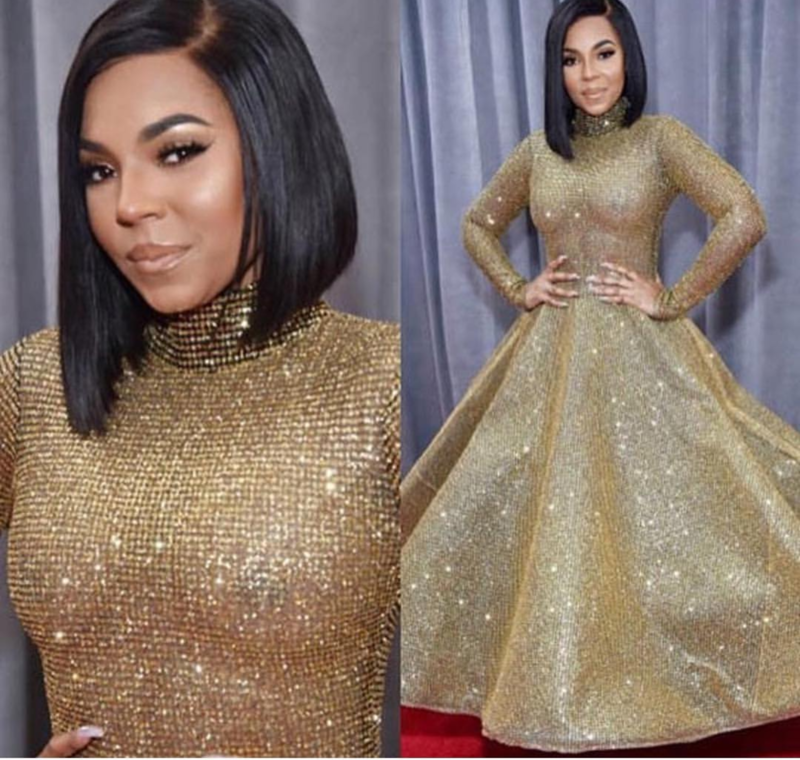 Ashanti sparkled at the 2018 grammys in a gold elie madi high neck long sleeve dress. 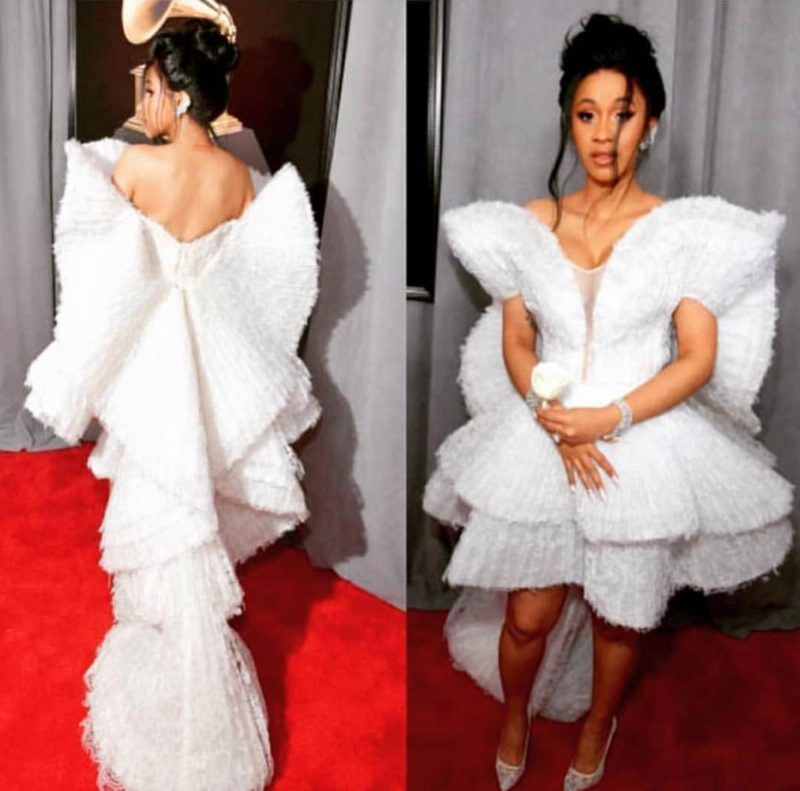 Cardi B looked so angelic at the 2018 #grammys dressed in an standout Ashi Studio dress paired with Christian Louboutin pumps. Bebe Rexha struck a chic pose on the red carpet of the 2018 Grammys wearing a curve accenting LaPerla #ss18 RTW dress. 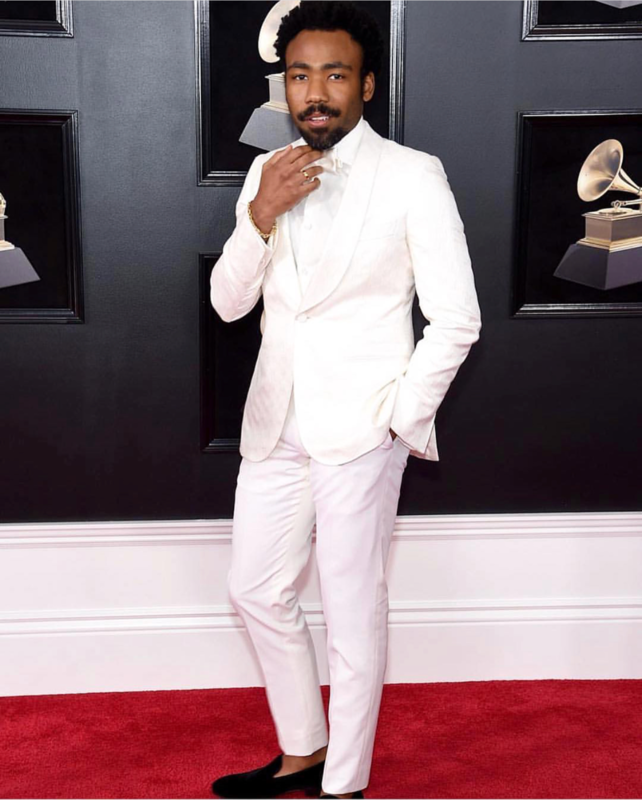 Childish Gambino in all white.